An attempted traffic stop on Tuesday in Grover Beach led to police a man who was driving a stolen vehicle, according to police. The passenger in the car then ran away and initially managed to evade capture, but officers later tracked him down and arrested him. 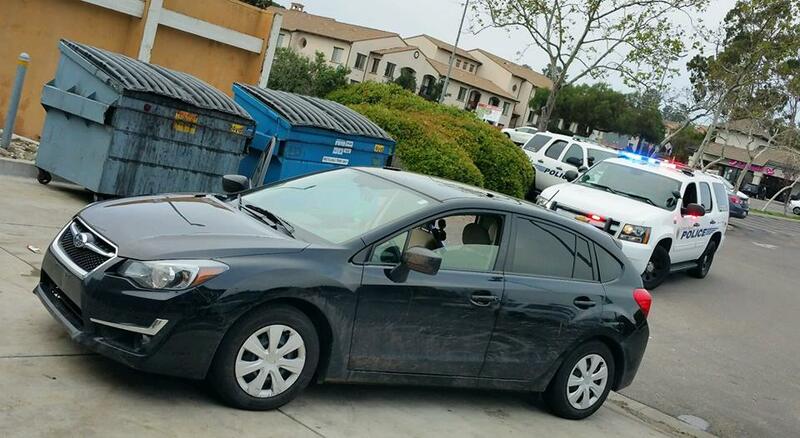 Around 4:23 p.m., a Grover Beach officer spotted the suspect violating a traffic law while driving in the 1800 block of Grand Avenue. The officer tried to conduct a traffic stop, but the driver attempted to evade police and pulled into the rear parking lot of a shopping center at Courtland Avenue and Grand Avenue in Arroyo Grande. The driver and the passenger then exited the vehicle and attempted to flee. Officers arrested the driver at the scene while the passenger temporarily evaded capture. Officers from both the Grover Beach and Arroyo Grande police departments arrived in the area, as well as a San Luis Obispo County Sheriff’s deputy. Ultimately, officers located the fleeing suspect with assistance from citizens who witnessed the traffic stop, police said. Police took the second suspect into custody inside a nearby CVS store. 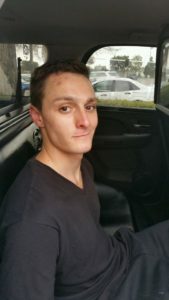 The police department has identified the two suspects as Dustin Leek, a 25-year-old transient from San Luis Obispo, and Dalton Tetreault, a 24-year-old Arroyo Grande resident. Officers booked both suspects into the San Luis Obispo County Jail with their bail set at $20,000 each. Leek is facing charges of possessing a stolen vehicle, driving without a license and violating probation. 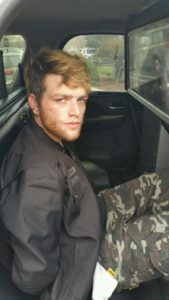 Tetreault is accused of possessing a stolen vehicle, possessing burglary tools and two charges of violating his probation. Both suspects remain in custody Wednesday morning. Investigators request that anyone with information about the case or other stolen vehicles contact the Grover Beach Police Department at 805-473-4511. Anonymous informants can call Crime Stoppers at 805-549-7867. Real life losers. Must make your mommas proud. With prison “realignment” props 47 and 57 it will only get worse.An Leo in Whittier,Ca just lost his life at the hands of a parolee who had subject to Brown’s “realignment”. How many more will it be with this?